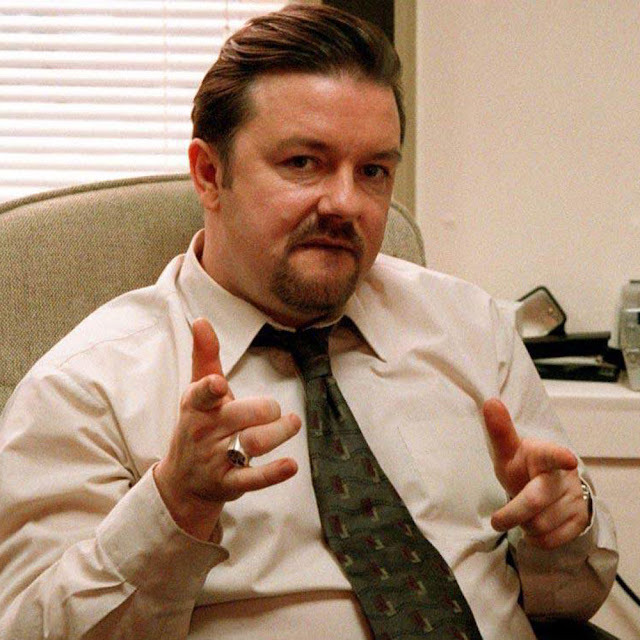 The US rights to 'Life On The Road', the Ricky Gervais movie that is set to revive Ricky's David Brent character (THE best thing in 'The Office', in THE best English comedy ever, ever) has been acquired. 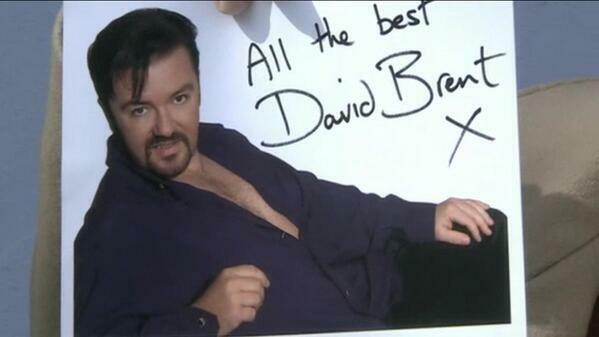 And so, this means that we will see David Brent on the big screen, in all his awkward, arrogant glory. Cannot wait. This is basically the best movie news. The movie even has a UK release date set for August 19, 2016, with Open Road Films planning the theatrical release in the US shortly thereafter. The movie will centre on a documentary crew catching up with David Brent (oh my), who is now working as a travelling salesman (of course), as he chases his dream of being a rock star by self-financing a UK tour with his band, called 'Foregone Conclusion' (oh my gosh, brilliant). “David Brent getting a big U.S. theatrical release? He can die happy now. (Spoiler alert – he does not die in this movie),” said Gervais today in the announcement by eOne. The company will finance the flick with BBC Films, and is distributing it in the UK and Australia/New Zealand.